When it comes to flossing, many people wonder about the types of items that can be helpful in flossing. Remember, it is not all about the tools that you use. It is more about the flossing technique and that how regularly you floss. If you are flossing regularly and that too with a proper technique, you will reap the benefits the flossing has to provide. Here, it would be worth mentioning that not flossing your teeth can be quite disastrous. The spaces between your teeth need to be cleaned on regular basis. If they are left un-flossed, there is a mighty chance that they are going to gather plaque. This plaque can turn into tartar. The bacterial action of this tartar can lead to tooth decay which can turn into cavities. The same tartar can irritate gums, leading to the gum disease. Bad news is that cavities in interdental spaces are not always visible. Moreover, cavities in those areas may not hurt you much but they keep damaging the teeth until you feel the need of root canal or tooth extraction. In this scenario, what’s more important is to make sure that you floss on daily basis and you do it correctly. 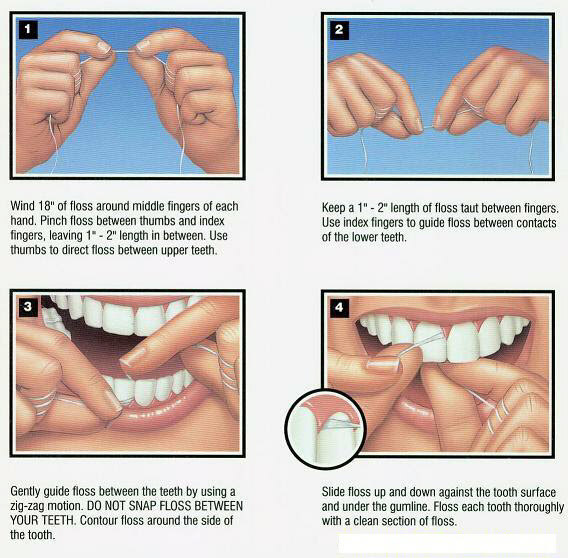 If you have not been flossing, it is never too late to start. Unfortunately, not many people know about proper way of flossing their teeth. So, a flossing guide is worth talking about in this context. 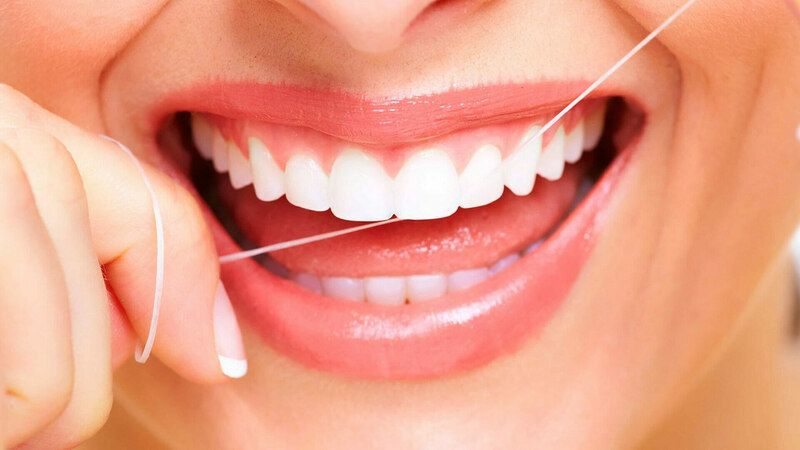 - To floss, you will need a flossing thread of 18 inches in length. The reason for breaking thread of this length is to wrap it around the middle fingers of both hands. This winding of thread allows you to keep hold of the floss while you clean your teeth. - Then you will need to hold the thread using forefingers and thumbs. - In order to insert the tread between the teeth, make sure that you are using rubbing motion. Applying pressure while inserting can do more harm than good. - When you reach the gum line while flossing, form the C-shape of the thread. Make sure that you are cleaning your teeth gently. - Move upward and downward while cleaning the tooth. Repeat this process with every tooth that remains accessible to flossing. Generally, you are recommended to floss every tooth. The benefit of following proper technique is that you can keep the risk of cavities at bay. Remember, all it takes is to learn about the proper way of flossing. Once you learn about it, you will only need a few days to get used to the right way of flossing. After that, it will become a part of your dental hygiene routine. You can discuss with your dentist if you want to make it even easier.